DFYPress created the Event Espresso text editor. 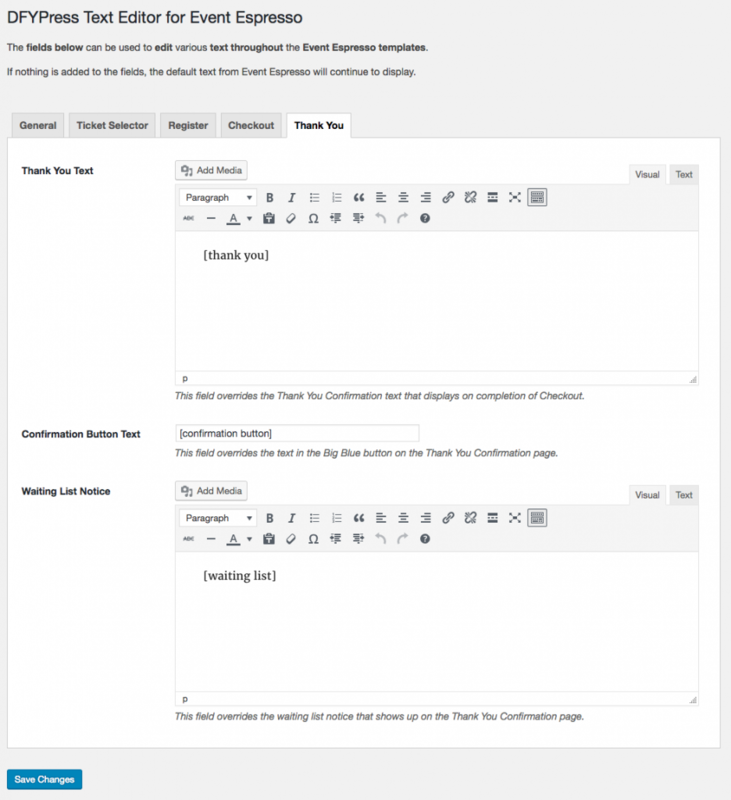 Edit all your Event Espresso wording – without changing any code! 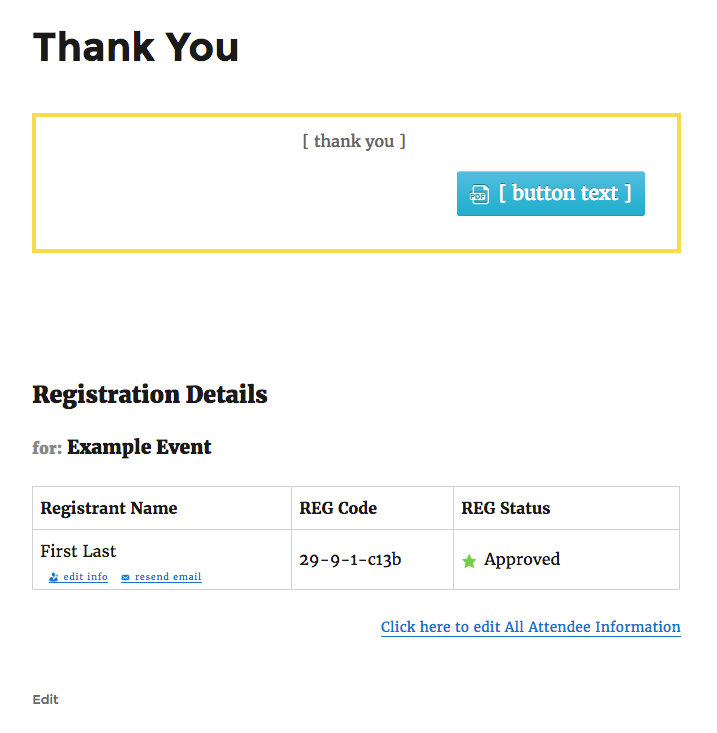 Our plugin lets you change over 35 inputs from the default Event Espresso text. Now you can say it in your OWN WORDS!